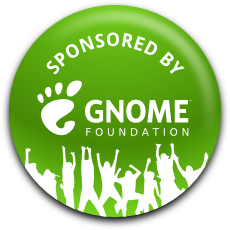 I submitted talk and approved about Contributing to GNOME In Indonesia. But I kick out my self (because I’m one of person who choose which one topic is better for conference). I would like to see locals talk than my self. I bought AirAsia ticket (because it’s cheaper than others) arround 400 USD from Jakarta – New Delhi and New Delhi – Jakarta. 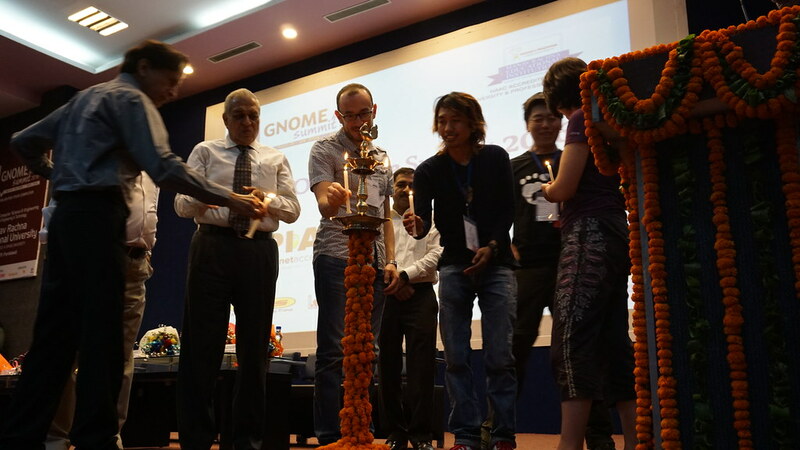 I got travel subsidy from GNOME (thanks to GNOME). For Visa, I use e-Visa. It’s easy and fast. It’s cost about 49 USD. I arrived at India about 10 pm local time. It’s take near an hour to pass immigration. And magically, easy to pass custom (fyi, I bring 30 shoes and 21 tshirt). I’m with Moko and Syaimif at that time. Getting taxi and go straight to Manav Rachna University. The taxi driver very friendly. He tried to speak with us even his English not good enough. Arrived at university about 1 am and have difficulties because security of university can’t speak English. Luckily, our taxi driver help us. So we can get our room that local committee provide and have rest. Anyway, I will not talk about technically thing here. I getting late to the venue just because I don’t know where the venue. The University is huge enough, lot of building and wide area. They already starting opening speak at that time. My first impression is, I’m happy because I meet lot of friends. The good thing in here are people love to talk with foreigner, maybe because mostly they speak English in daily life. I enjoy talk with all people, because it makes my English better and better. 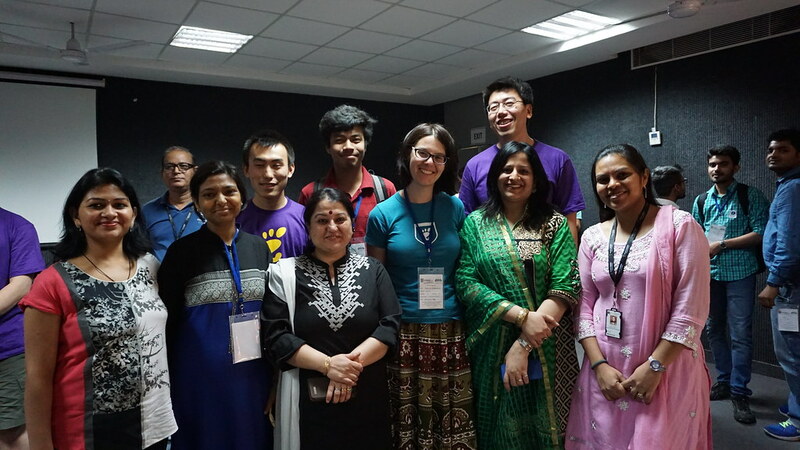 I was amazed with participants. 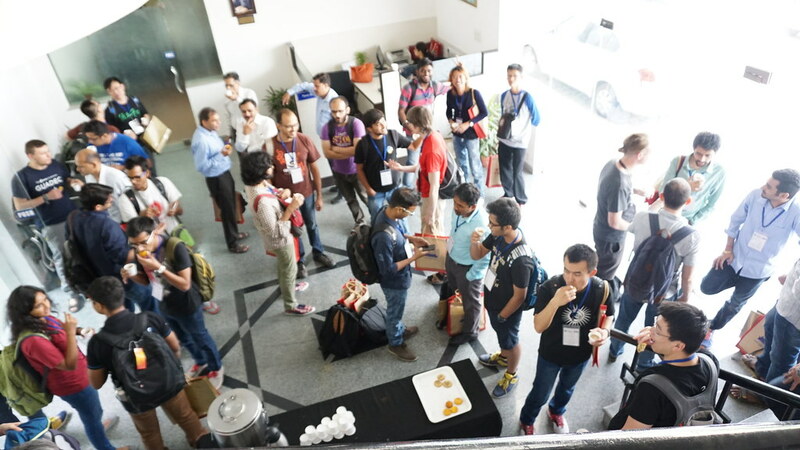 Many participants love technically things. Especially when GStreamer workshop, many people follow it. This not happen in Indonesia last year. I was little bit shocked actually, just because me and Bin Li must have opening speech with Locals such as some Professor/Dean. Not preparing about that. But the opening is also great, that’s new experience for me. Day 1 was amazing because it’s feel reunion and meet new friend. But for me, I can talk with another GNOME Board Director, Cosimo Cechi. In this summit, we also has local foods and local tea, very delicious. And the foods it’s self was great and not weird for me since me as personal, little bit difficult for getting food in another country. The good news from Day 1st, there are lot of female participant. It’s good because mostly, IT Summit has less female participant. They also active. 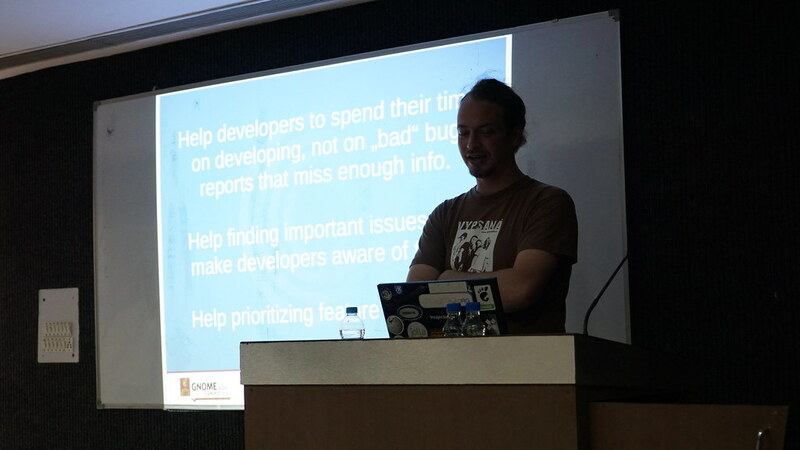 Second day summit also interesting, personally I’m attend to Bugzilla Class with Andre Klapper as speaker. I missed this class last year in GNOME Asia 2015. 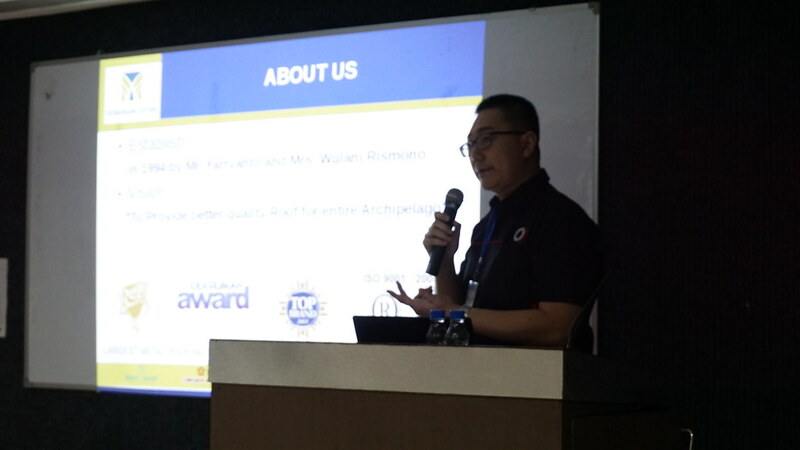 And I was also on Mr. Iwan’s Class, talking about FOSS in Tata Logam Lestari. But I’m lost at Moko’s Class. Day 2nd make me busy. Me, Kat, Cosimo and Bin Li being famous here. We invited to visiting lot of university department. And has honor to meet Director of the Manav Rachna University. Me, Kat and Cosimo also has On Air at Radio that belong to Manav Rachna University and aired on Faridabad area. That’s my first time on foreign radio. Hahaha. Last day was journey. I can’t explain in text, but this was amazing trip. I really enjoy this since this is my first time in India. 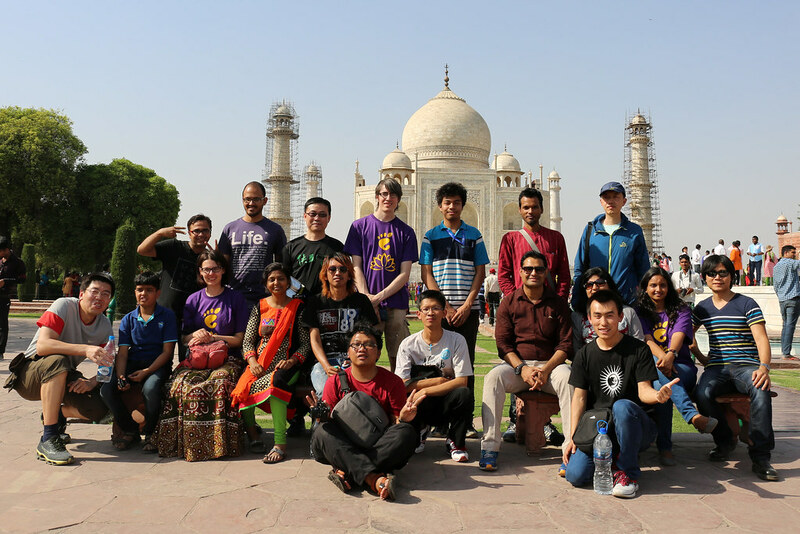 We go to Agra (Taj Mahal). 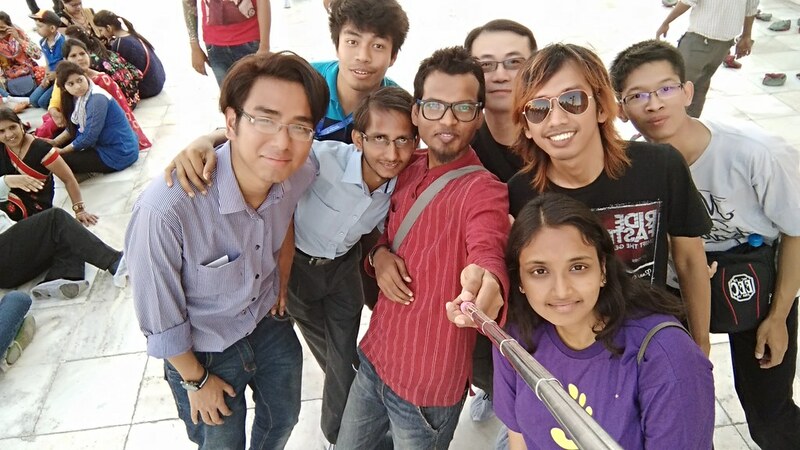 You can see, all of us are enjoy this trip event I feel too much wefie. Hahaha. 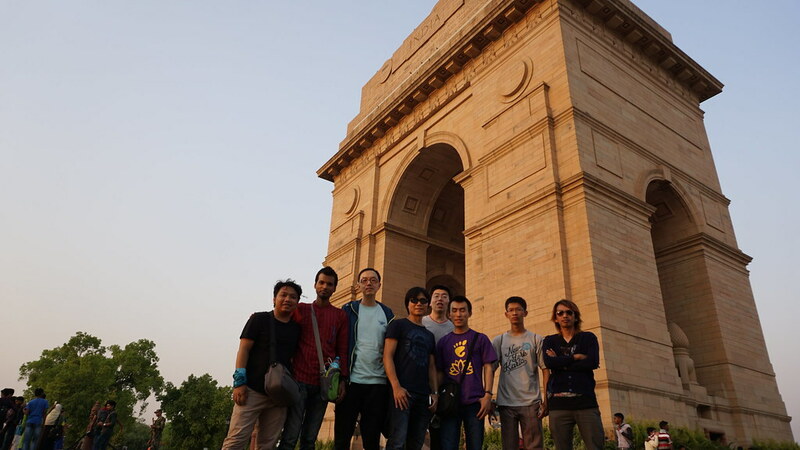 Monday night is my flight, so I still have few hours to take look around New Delhi. I’m going with Moko, Syaimif, Bin Li, Michael, Jonathan, Eric, Johan Chi and Raju, also Amisha, but she left at afternoon for family business. Our target is Delhi Gate. After all, we can contribute many things to GNOME. Just which one that you interested.